Founded in 1983, the Cary Institute of Ecosystem Studies is one of the world’s leading independent environmental research organizations. Areas of expertise include disease ecology, forest and freshwater health, climate change, urban ecology, and invasive species. Studies by Cary scientists have been instrumental in informing the Clean Air Act, the Intergovernmental Panel on Climate Change, and environmental management practices throughout the Northeast, including the Hudson River, New York’s Catskill and Adirondack forests, and the watershed of Baltimore, Maryland. 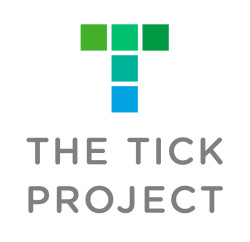 Watch this video produced by the National Science Foundation to hear Tick Project leader Rick Ostfeld explain why April should replace May as Lyme disease awareness month. The video also contains some valuable information about ticks and tick-borne diseases. Developed by a partnership between the Dutchess County Department of Behavioral and Community Health and the Cary Institute of Ecosystem Studies, this resource summarizes the best scientific evidence addressing commonly-asked questions about tick-borne diseases.